Fun projects and innovations in the world of photo mosaics. We recently teamed up with easyJet to launch what became quite a monumental photo mosaic campaign. In celebration of their 20th birthday, easyJet contacted us to help create an activation that would bring their fans and customers together in a fun and interesting way. 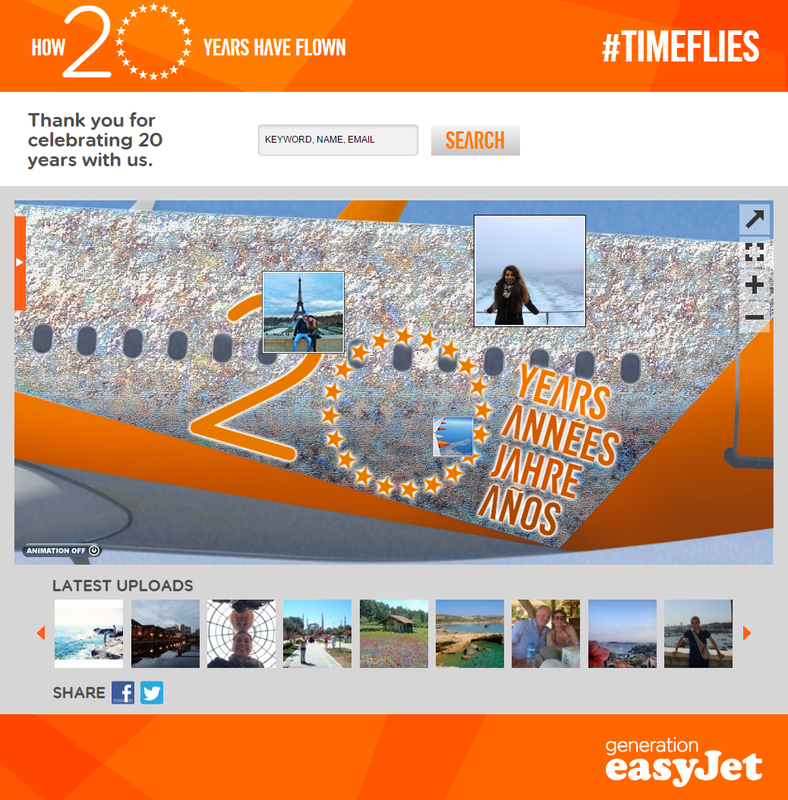 By utilizing the social and interactive aspects of our online mosaic platform, we were able to create the easyJet 20th Birthday Plane Mosaic. Once completed, this massive photo mosaic was printed on an actual easyJet plane! Fully functional in eight different languages, the easyJet mosaic is an immersive and engaging experience. To encourage submissions, each participant was entered for a chance to win easyJet tickets to the destination of their choice! The mosaic became a quick success receiving a half million views in the first week! By the end of the month long campaign, easyJet had received more than 100K+ photo submissions. 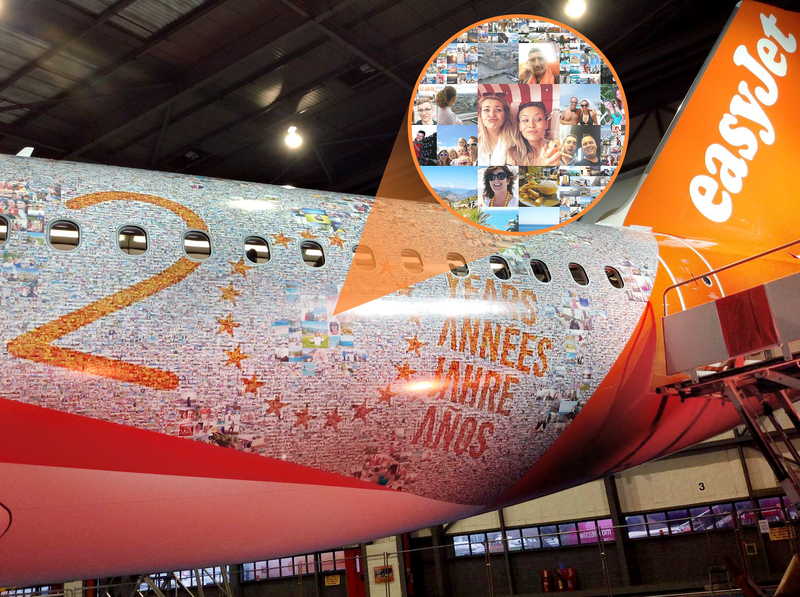 easyJet unveiled the completed 20th birthday plane back in November and it was quite a sight – keep your eye on the sky, maybe you’ll see it fly by! This entry was posted in Mosaics, News & Updates, Online Interactive Photo Mosaics, Photo Mosaics and tagged easyJet, online mosaics, online photo mosaics, photo mosaic, picture mosaic on January 22, 2016 by Robert DeCarolis. What is a TRUE mosaic? Copyright © 2001-2019 Picture Mosaics LLC. All rights reserved. Patent Pending Mosaic Technology.